EVERYTIME MEDIUM COLLECTION: The new Tissot Everytime watches are simple yet classic Swiss made watches that can be dressed up or down and are timeless. With different dial designs and case sizes available, there is a model for all. 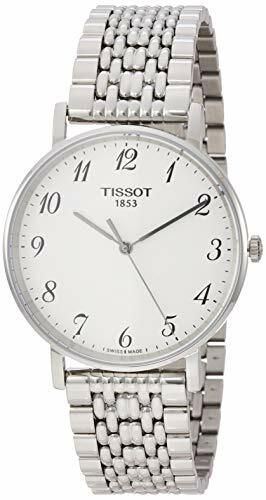 Tissot Every time Quartz T1094101103200 White / Silver Stainless Steel Analog Quartz Men's Watch Style: Casual Movement: Quartz Color: Stainless Steel Adjustable: Yes Shape: Round Dial.